Awkward, shy, and as her elder sister says, “gross,” fourteen year old June Elbus has a strange yet heartwarming relationship with her uncle. Finn Weiss takes his job as June’s godfather seriously, and the two have developed an unbreakable bond. Their days together, however, are drawing to a close. Finn is dying, and no one wants to talk about it. June recalls her last days with her uncle with clarity and confusion. She feels every detail with acute senses, but she is swimming in the secrets surrounding her uncle’s life. After his death, June must deal with her grief alone. That is, until she meets Toby. Through an unlikely friendship, June begins to deal with the loss of her best friend. Each tender moment of her heartbreak is open for the reader to experience. June is an enthralling character, with her quirky trips into the woods and her childlike ignorance unfolding before us like the pages of a map. While the reader may guess more about the secrets her family holds, they get to discover them through the innocent eyes of June. She cares deeply for what is left of her family, but she has difficulty connecting with them. They don’t understand each other. Only Toby manages to connect to the raw emotion June feels with the absence of Finn. The sting of grief is all too familiar for anyone who has experienced loss. Brunt writes with great authority on the subject, expertly showing the different ways in which the Elbuses react to Finn’s passing. The past mingles with the present, each character consumed by painful memories. Each character leaves their mark on who Finn was, and in return, he leaves his mark on their lives. He shines through them in the most beautiful and authentic ways, holding different meaning to each in turn. 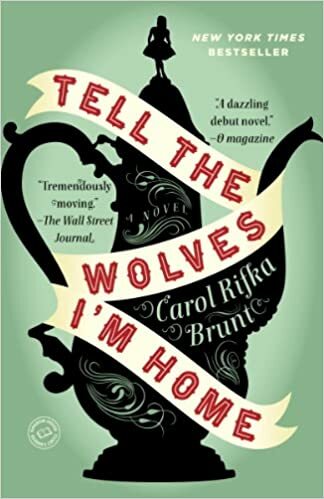 Packed with childhood stories and written in clear, moving language, Brunt’s debut novel is a roller coaster of emotion. Her insights into love and loss are spot on while her characters are flawed, engaging, and strange. While the material is heavy, it is hopeful. Moments of laughter and love break through the surface of clouds of sorrow. 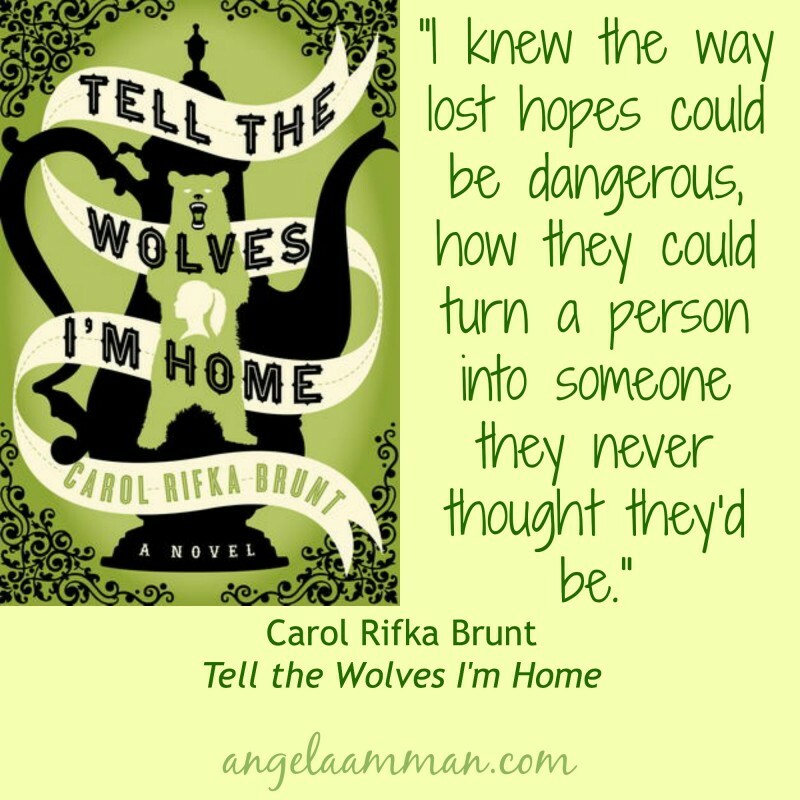 Get ready to fall in love while having your heart broken with Tell the Wolves I’m Home.